Other photos: Photo 1, Photo 2, Manufacturer Provided Image: Exterior View 1, Photo 4, Photo 5, Photo 6, Manufacturer Provided Image: Saloon, Photo 8, Manufacturer Provided Image: Galley, Photo 10, Photo 11, Photo 12, Photo 13, Photo 14, Photo 15, Manufacturer Provided Image: Guest Cabin, Photo 17, Photo 18, Manufacturer Provided Image: Master Cabin, Photo 20, Manufacturer Provided Image: Helm, Photo 22, Manufacturer Provided Image: Guest Cabin, Photo 24, Photo 25, Photo 26, Photo 27, Photo 28, Photo 29, Photo 30, Photo 31, Photo 32, Manufacturer Provided Image: Flybridge, Manufacturer Provided Image: Upper Deck. Boat is full options. There Satellite Tv, Water maker, 3rd maneuvering station, jet ski and tender etc. SYS Yacht Sales is pleased to assist you in the purchase of this vessel. 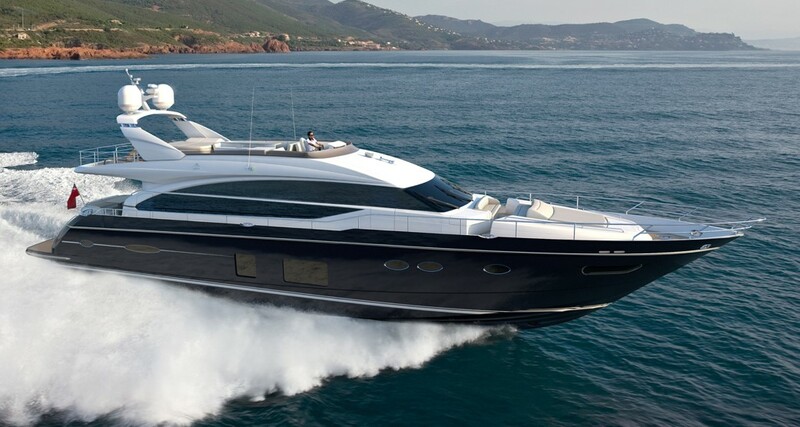 This boat is centrally listed by Zenmar Yachting.